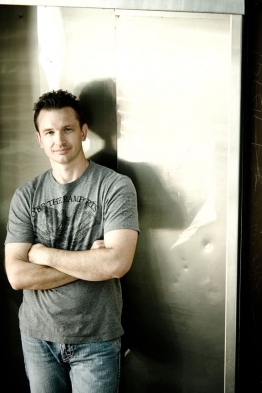 Greg Stier is the President and Founder of Dare 2 Share. This open letter is in response to his January 26th, 2013 article, “Why Mormons Do Better Youth Ministry Than We Do” which was published on the Christian Post website. I am absolutely shocked and appalled that you have reposted this article! In 2008 you reviewed the data that I provided to support these claims, agreed that I had a valid point and immediately took the article down. Yet, here we are 5-years later and here it is all over again – I’m utterly baffled by this Mr. Stiers, especially since not only has NOTHING changed in the LdS Church in this regard, things have actually gotten worse. You see in October of 2012, the LdS Church dropped the age requirement for males missionaries to only 18-years old (down from 19-years old) and to 19-years old for female missionaries (down from 21-years old). There has been great speculation as to why this decision was made but the general consensus is that is was because the LdS Church – whose retention rate is bad and getting worse (more on this later) – is losing too many young members after they’re exposed to the Internet and/or critical thinking in Universities after they graduate from High School. Mr. Stier, that’s because due to social pressure exerted on young people (young men in particular) to go on an LdS Mission many young people go into their missionary “without a testimony” (that’s Mormon-speak for, “an unbelieving Mormon”) hoping to get one. I would ask you Mr. Stier, is this REALLY what we to see in our missionaries – unbelievers simply lip syncing dogma and the rhetoric that they learned during their Missionary Training and who don’t believe a word they’re saying? In addition, your statement ignores the fact that a high percentage of LdS Missionaries (according to Mormon Historian and 34-year LdS Church Educational System teacher Grant Palmer the figure is now around 30%) leave the LdS Church within 5-years after their mission never to return. And since, according to a recent Pew Trust Survey, around 50% of those who leave the LdS Church become atheist, I think it fair to infer that’s true of these Returned LdS Missionary apostates as well. And, BTW, most of them are atheists – I have yet to find a religion that poisons it’s former members against all forms of theism like Mormonism does, it’s really quite amazing! Again, is this really what you want – a youth missionary system that drives people away from God into atheism? And as I explained to you 5-years ago, there are many sociological aspects we can examine to determine if a group fits the criteria of a “cult,” but one of the easiest models to use in evaluating cult mind-control is given by Steven Hassan in his book Releasing the Bonds: Empowering People to Think for Themselves, published in 2000 by Freedom of Mind Press, Somerville MA. This model was based primarily on Robert Lifton’s work but also draws from research from Margaret Singer and many others. It doesn’t target any group in particular and can be applied to ANY group be they religious, political, secular, etc. It just doesn’t matter. Steven Hassan recommends that the BITE Model analysis be done by former members as they have the greatest insight into the group’s formal and informal behavior. Furthermore, since one aspect of Mind Control Cults is lying, deceit, misinformation, “spin” and other obfuscating techniques for hiding “insider” secrets, active members and official group resources (such as websites, tracts, and other public facing materials) typically only allow an investigator to see a false, friendly fascade rather than true, harsh internal reality. So with that in mind, here are links to the BITE analysis’s that have been completed by former Mormons. ARE MORMONS (LDS OR LATTER-DAY SAINTS) A [Mind Control] CULT? Finally Mr. Stiers, I must say that it pains me to have to make all this matter public. However, since it appears that nothing was learned in our private discussion 5-years ago I have no choice. I would hope that this will be the end of this matter once and for all.